Help me to help you. Will you do me (and yourself) a GINORMOUS favor? 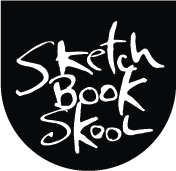 At SketchBook Skool, we make a lot of videos, on average one a day — tips, reviews, interviews, jokes. We share them all on YouTube. Now, if we get 2,190 additional subscribers to our channel, YouTube will help us produce even more and better stuff. But we need to cross that threshold. Will you help us by SUBSCRIBING (ask your pals and family too!) to our YouTube Channel? It’s here. It just takes one click. You won’t get any annoying emails about it. It’ll help us BIG time.